Starting a blog for your brand is an exciting new venture. A blog is a channel to share your brilliant musings outside of your sales page and product descriptions — in more than 25 words. It’s an opportunity to demonstrate your authority and show your personality. You can build a closer relationship with your key customers. But for many small businesses, fantasizing about your blog is the best part. Actually executing it successfully? A lot more work. This is when – and why – you should consider working with an experienced freelance managing editor who possesses expertise and experience in your field. Your managing editor will act as as part editor, part writer, part coach, part organizational genius, part strategist. That’s right, a managing editor does so much more than edit. In fact, editing is the “easy” part if your editor is experienced. If you want a blog that fits into your overall strategy and moves you toward your goals, you’ll need someone who can help you keep the big picture intact while ensuring nothing falls through the cracks. Your freelance editor will develop an editorial style guide and keep it fresh. Your style guide ensures all your writing is up to brand standards and flows with any changes that occur with the company. Whether your writers are outsourced or in-house, everyone needs to be on the same page — speaking in the voice of your brand and representing it like a true ambassador. Even if you encourage diverse opinions on your blog, you simply don’t want an article to have your customers question the underlying philosophy of your brand. Plus, a style guide includes details about punctuation, grammar, format and structure, which makes the editing process a lot smoother. Your freelance editor will tap into their network and recruit freelance writers with experience in beauty, health and wellness. Your freelance editor will manage the deadlines and draft submissions of freelance writers. A busy VP or entrepreneur likely doesn’t have the time (nor desire) to ensure the writers adhere to deadlines, ensuring all the following steps after receiving a new article will be implemented on time. Your freelance editor will create a customized editorial calendar that works with your goals. No two companies can work with the exact same editorial calendar. A template simply won’t suffice. Everyone jives with their social media, web and design teams in different ways. Goals and objectives vary drastically from brand to brand. An editorial calendar will also organize your recurring posts, such as weekly columns, monthly guest features or product spotlights. The editorial calendar needs to make sense for everyone involved, which is why your managing editor will tailor one that makes sense for you and you only. Your freelance editor will manage workflow. From an outside perspective, a blog seems kind of simple, right? You write and you publish. But what about the various interdepartmental communications required to produce a worthwhile blog post? How will your graphic designer know what to craft for a particular piece? How will your social media manager know when to post your article? There are a lot of moving parts, and the managing editor will take the helm. Your freelance editor will lead content ideation. Many people realize shortly after setting up their blog that coming up with fresh, engaging article ideas is actually a lot tougher than it seems. There are two main reasons for this: 1) Everything’s already been done — everything; and 2) Businesses that sell one type of product, such as a single skincare collection, feel like they’re repeating themselves or simply copying other companies. A freelance beauty and health editor will ensure your articles are timely and seasonal, on-brand and not behind the times as well as the most important thing: intriguing to your potential and existing customers. Your freelance editor will identify opportunities with partners and influencers. If you work with an editor in the industry, s/he will come with some great recommendations on who to partner with, who to glean quotes for your blog articles, who can guest post to garner more exposure, and so much more! Your freelance editor will edit your articles with the eye of a copy editor but with the aptitude of a journalist. There’s a 100% chance that some of your customers are grammarians, so despite the fact that punctuation really seems really minor compared to things like your major Christmas marketing push, it makes a difference. Your editor will remedy these tiny errors as they review content, flow, style and other areas of improvement during the editing process. Your freelance editor will write for you. Chances are, your editor loves writing! If it’s built into the contract, your editor will give you their best content drawing from years of reporting, writing and editing. Score! …so you can invest your money into brand-building assets like Facebook ads or photography. Need I say more? 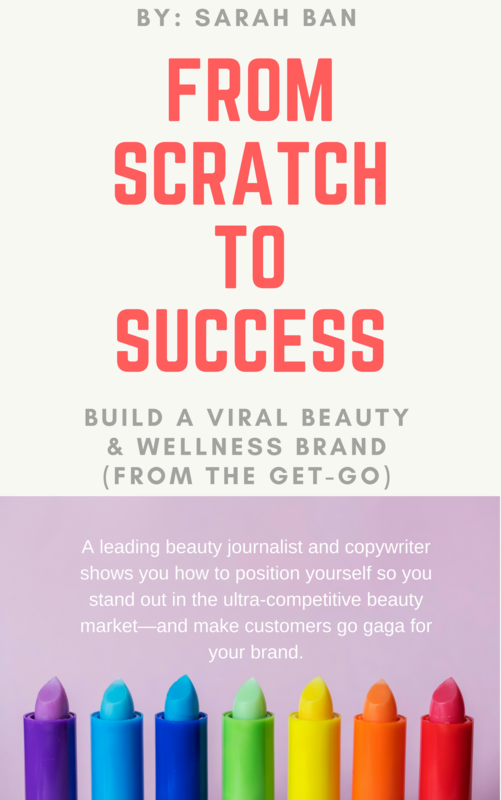 Are you a beauty, health or wellness brand and in need some help from a freelance managing editor? Click here for your solution.